If you were recently informed that you need a root canal treatment, also known as endodontic therapy, chances are the minute you left your dentist’s office you felt a bit worried about the procedure. Dr Fernando Vieira is an endodontic professional and has completed countless successful root canal procedures. We understand that even the thought of this necessary dental treatment may make you feel nervous. Don’t worry, this reaction is completely normal. Knowing what will happen ahead of time is more than half the battle. By the end of this blog, you will understand that a root canal procedure is nothing to be worried about. Root canal treatment refers to the process where your dentist treats infection at the centre of the tooth. This is usually caused by tooth decay, leaky fillings or a damaged tooth as a result of trauma. If the area becomes inflamed, the infection may spread through the root canal system of the tooth, if left untreated it can result in tooth loss. This is why it is essential to trust your dentist when he/she advises you to go through with this procedure. The dentist will numb your tooth and then remove infected tissue, clean, file and fill the canals of a tooth to allow the infection to resolve, thereby avoiding unnecessary tooth extraction. It’s very common for a patient to feel worried or stressed before the procedure. A recent survey stated that up to 15% of patients avoid seeking dental care because of misconceptions and fears. Fortunately, root canal treatment sounds scarier than its term actually implies. During a root canal procedure, a good dentist will carefully apply a local anaesthetic ensuring the treatment is pain-free and that you are comfortable before, during and after your root canal treatment. Once complete, your tooth is restored with a crown or filling for protection and continues to function like any other healthy tooth. It’s natural to feel nervous in the dental chair but an experienced dentist should put you at ease and make you as comfortable as possible. To simply answer your question – the root canal treatment itself is painless. 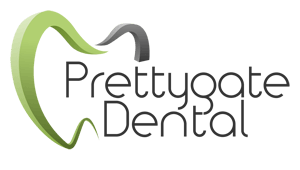 What to expect after the root canal treatment? Whether it’s in between visits, or after your endodontist has completely finished your root canal treatment, you’ll want to know what to expect in the days that follow. The length of the procedure depends on how complicated the root canal treatment will be. Any appointment will last between 30 to 60 minutes and, in some cases, possibly as long as 90 minutes. After your final treatment, your restored tooth shouldn’t be painful, although it may feel sensitive for a few days. It’s entirely up to you if you want to take few days off work, just remember that the discomfort is usually worse for the first week. You are likely to have a check-up one or two weeks after your procedure to make sure all is well and you are healing normally. It is natural to feel some tenderness in the area for a few days after your root canal treatment. This is why it is important to be gentle whilst chewing in the area that’s been treated. Your dentist should provide a follow-up appointment where final restoration of the tooth is completed. To ensure long-term success, good oral hygiene is required to keep your smile beautiful.